I haven’t done a Teaser Tuesday in a while. I don’t know if you guys enjoy them or not but I thought I would give it another try. This week’s book is for a book club I am in. 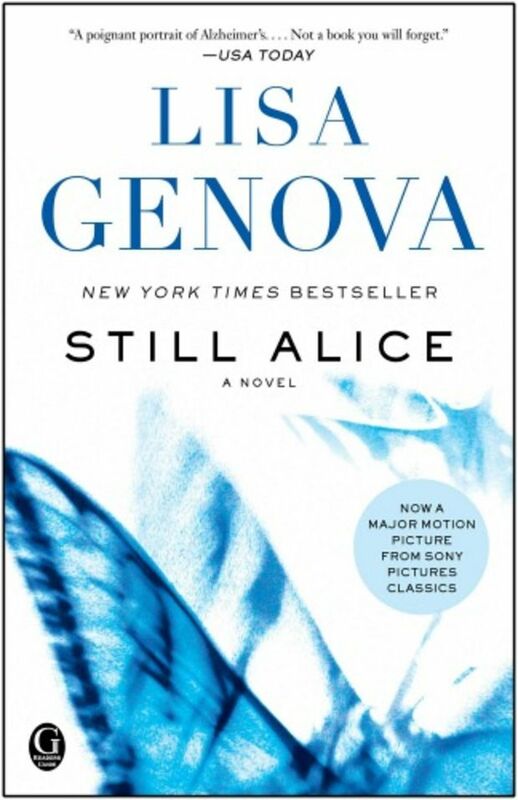 It is called Still Alice by Lisa Genova. Many of you might have heard or seen the film adaptation which Julianne Moore won an oscar for. It is a pretty accurate adaptation and I think both are pretty gripping stories. Still Alice is about a woman named Alice who is a Harvard professor and great intellect. One day she is running and she can’t remember where she is or how she got there. This starts to happen more and more until she is ultimately diagnosed with early Alzheimer’s disease or dementia. What I appreciated about this story is how cut and dry it stayed. There isn’t much emotional manipulation. Instead of dramatic scenes of loss we see a quiet scene where Alice ends up in her neighbors house wondering why her kitchen looks different. Lesser writers would have made it heavy-handed and preachy. Genova clearly did her research into dementia and it feels real with subtle changes that feel authentic. This makes it more devastating to see a woman who is prized for her intellect lose it bit by bit. I don’t know if the prose is that great in Still Alice. It’s not poetic or particularly beautiful to read but it builds the disease and the characters response in a layered moving way that worked for me. I also appreciate the portrayal of the caregivers. Alice’s husband still has to worry about his own career and isn’t available for her every beckon call. Her children are flawed and not always as understanding as they should be. It felt like a real family and elevated it from the typical ‘disease of the week’ type stories. There is a little bit of profanity if that bothers you. • Share the title & author, too, so that other participants can add the book to their TBR Lists if they like your teasers. 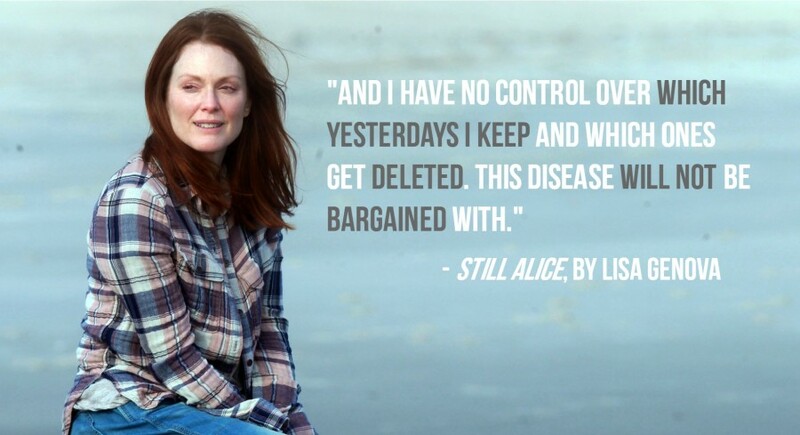 Does Still Alice sound like something you would like to read? It’s tough sometimes to read about dementia as that is something we all fear but I found it worthwhile and am glad I read it.